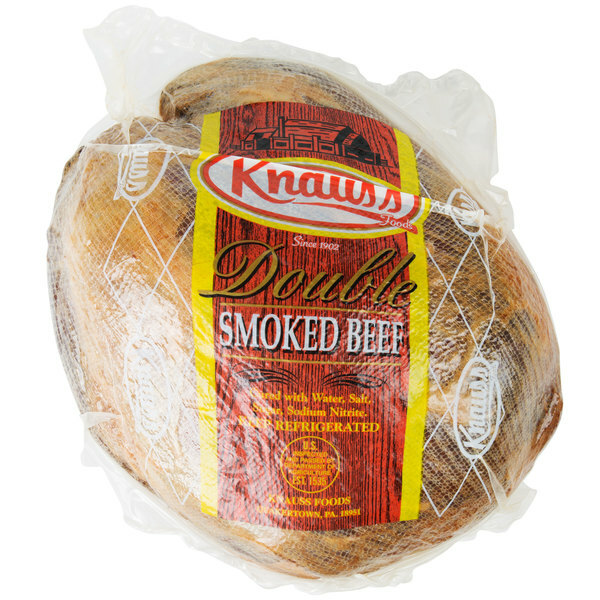 Incorporate delicious beef recipes into your menu with this Knauss Foods 6 Ib. double smoked dried beef deli knuckle. It's ideal for crafting specialty sandwiches and subs or for putting together a tasty party tray with meats and cheeses. Plus, it works great in entrees. This beef accents any of your dishes with a mildly salty, yet beefy and smoky flavor profile that's especially delicious. Bring an authentic Pennsylvania Dutch style dish into your kitchen by mixing it with melted butter, milk, and flour and set the ingredients to simmer. When finished, this creamy and thick mixture is perfect to spoon onto a fresh piece of toasted white bread for an authentic creamed chipped dried beef on toast breakfast. 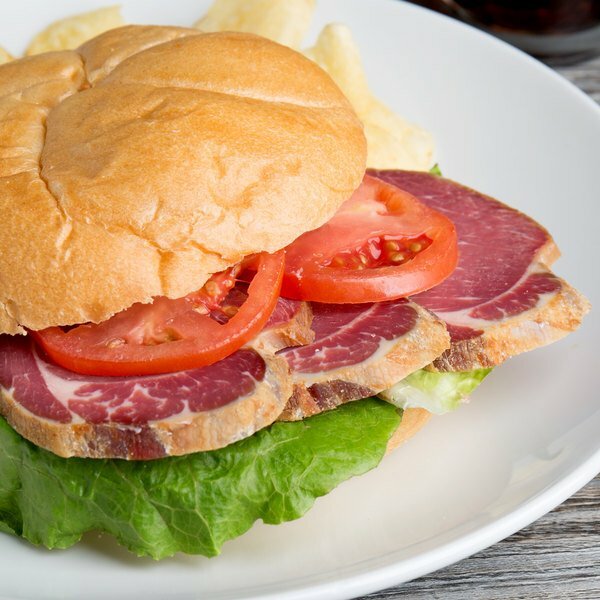 Made from 100% beef, guests are sure to love the taste of this dried beef. It's slowly cured to bring out the savory beef taste, and double smoked to create a distinct flavor. 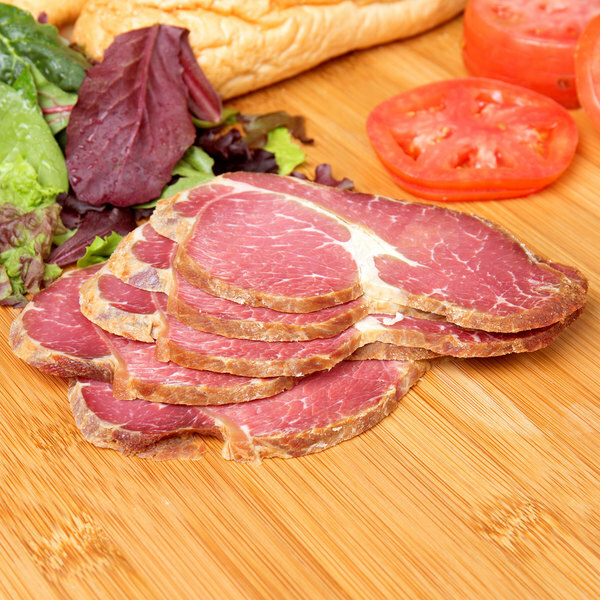 Plus, each dried beef deli knuckle is hand trimmed in order to provide a leaner product. One serving is only 45 calories and is 98% fat-free, making this a great option for health conscious customers.